Jean Teresa (Walther) Kirkland, 58, of Jay, passed away from her earthly home to her heavenly home on Saturday, February 24, 2018, due to a brief illness. Jean was born in Milton on December 25, 1959, and was a graduate of Chumuckla High School. 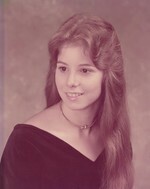 After graduation, Jean began her employment with the Santa Rosa County Clerk’s Office in Milton. She enjoyed a successful career for over 20 years. She was most proud of her sons, Jonathan and Josh, and felt that was her greatest accomplishment. Also, for the last five years she has been consumed with pride and joy over her only granddaughter, Dixie. Jean was preceded in death by the father of her children, Johnny Kirkland; her parents, Norman “Plug” and Grace Walther; her oldest sister, Martha (Ed) Levins; her nephew, Tim Levins; and niece, Alisa Walther. Jean leaves behind to forever cherish her memory, her loving boys, Jonathan and Josh; and special granddaughter, Dixie. Also, she leaves behind, her very best partner in crime, “wife-in-law” Patsy Kirkland, as they often referred to each other. Jean is also survived by her two sisters, Marie (Wayne) Goddard and Jane (David) Chavers; and her favorite brother, Jack (Eddnie) Walther; brother-in-law, Ed Levins; and many nieces and nephews. Visitation will be held 11:00 a.m. – 1:00 p.m., Wednesday, February 28, 2018, at Lewis Funeral Home, Milton Chapel. A Graveside Service will be held at 2:00 p.m., Wednesday, February 28, 2018, at Coldwater Community of Christ Cemetery. Funeral service will be held at 2:00 p.m. on Monday, February 19, 2018 at Elizabeth Chapel United Methodist Church. Burial will follow at Elizabeth Chapel Community Cemetery. On February 13, 2018, James “Wendell” Enfinger lost his battle with colon cancer and went Home to be with Jesus. Wendell worked for 2-3 years at Piggly Wiggly in Milton, 27 years at Sears (Warehouse), 16 years at Westinghouse, and 16 years with CSX Railroad. He retired on February 28, 2014 due to health problems. He decided after working 50 years, it was time to retire. Wendell came through 67 chemo treatments, two major surgeries, and several procedures. He was proud of being a bronze level blood donor, even receiving a spot on the wall as a 28 gallon blood donor. He was preceded in death by his dad, Henry “Buddy” Ezekiel Enfinger; mom, Eula Mae Enfinger; and brother, Charles Quinnon Enfinger. 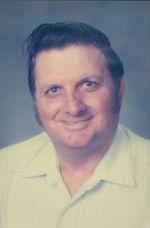 Wendell was a loving husband to his wife of 52 years, Helen; caring dad to their only son, Randy; a good brother to Harvey (Winnie) and Donald (Ethel Rene) Enfinger; he also leaves behind many nieces and nephews, many friends and co-workers. Visitation will be held from 6:30 p.m. to 8:30 p.m. on Sunday, February 18, 2018 at the funeral home. Wendell left us while at the West Florida Hospice Unit at West Florida Hospital. The family would like to thank everyone at the hospital and especially the nice people at Covenant Hospice who helped us get through this. Brenda L. Kelley, age 68, of Chumuckla, Florida, passed away, Saturday, January 13, 2018. Brenda was one of four children born to the late Jessie James & Winnie Ard. She retired from the Santa Rosa Property Appraiser Office with ten years of service. She was preceded in death by a brother, James Curtis Ard; and a sister-in-law, Betty Jean Ard. Brenda is survived by her loving husband of 49 years, Jerry Kelley; a son, Jeffrey (Teresa) Kelley; a daughter, Stacey Craig; four grandchildren, Brianna (Matt) Taylor, Kennedy (Ryan) Schotsch, Parker Kelley, and Zachary Hirman; three great-grandchildren, MaKenna Peacock, Mason Taylor, and Lincoln Schotsch; a brother, Gerald (Darla) Ard; and a sister, Debra Sue (Johnny) Pierce. Visitation will be held 5:00 p.m. – 7:00 p.m., Wednesday, January 17, 2018, at Lewis Funeral Home, Milton Chapel. A Graveside Service will be held at 2:00 p.m., Thursday, January 18, 2018, at Ard Field Church of Christ Cemetery in Jay, Florida, with Pastor Greg Kell officiating. Brenda was full of love! She enjoyed spending every single moment with her grandchildren and great grandchildren. Brenda worked part-time at Pruitt and we would like to thank Mrs. Linda and Ms. Sharon for the support they showed our family during this time. A very special thank you to the staff and the physicians at West Florida Hospital. The physicians provided great care for Brenda and to provide treatment for a very challenging unknown diagnosis. She will forever be in our hearts and be missed tremendously. We LOVE you Mom!